On Sept. 1, 2010, the term “ethical oil” didn’t exist except as the title of a soon-to-be-released book by conservative political activist Ezra Levant. Four months later, ethical oil was Harper government policy, or at least an official government talking point. On January 5, his first day on the job, newly-minted environment minister Peter Kent called the Alberta oilsands a source of ethical oil. The story of how this happened is extraordinary, given that ideas often take years to percolate through public opinion filters before they end up on policy agendas. And more importantly, ethical oil is a defective idea that was roundly criticized not just by environmentalists but by the industry itself. Nonetheless, establishing ethical oil as a component of government rhetoric illustrates the growing success of a Canadian right-wing echo chamber that is aping the tactics of the Republican noise machine in the U.S.
To counter Levant’s charge that Middle Eastern oil producers are guilty of unethical conduct, the journal explained that these producing countries “deployed their wealth to prop up western financial institutions during the recession,” preventing a complete economic collapse. Hardly unethical behaviour, the journal implied. And even if Canadian oil exports to the U.S. double by 2020, as the Canadian Association of Petroleum Producers predicts, this will still account for less than a quarter of American consumption, the journal said. Most oil will still need to come from somewhere else. The choice Levant poses — ethical Canadian oil or unethical Saudi oil — is fallacious. According to the journal, Levant also seems not to understand that world oil prices depend on the Organization of Petroleum Exporting Countries. With current prices set at $75 a barrel, oil from Alberta’s oilsands is a viable operation. But if OPEC cut oil prices by $15 a barrel — which it could do because of excess capacity three times the amount of current Canadian production — the oilsands will become a dubious proposition. It matters little what Canada does. The Petroleum Economist is read by few outside the industry. So Levant had carte blanche to say whatever he wanted to — and get away with it. Initial support for ethical oil came from the newspapers in the conservative Sun Media chain, where Levant is a columnist. Most papers in the chain — the Ottawa Sun, the Toronto Sun, the London Free Press, the Calgary Sun, the Edmonton Sun — published three excerpts from the book on three successive days in September, giving it national exposure. The excerpts cover a lot of ground, attacking Saudi Arabia, environmentalists, and proponents of green-energy jobs, while defending the Alberta government and the Canadian oil industry. These excerpts reveal a basic Levant technique: attacking the person or the organization, not critiquing their arguments. Yet none of the papers gave space to Greenpeace to allow their readers to hear from the environmental organization itself. Anything readers learned about Greenpeace’s concerns with the oilsands came from Greenpeace’s enemy, Levant. The next day, the Sun papers reported favourably on a talk Levant gave at the Economic Club of Canada in Toronto. And a week later, Levant’s column in Sun papers attacked Hollywood director James Cameron, who was critical of the oilsands and coming to Alberta to see for himself. The article focused on Cameron’s “extravagant projects with their vast energy consumption,” once again utilizing the ad hominem attack. That same day The Post gave a lengthy and entirely positive report on Levant’s Economic Club talk. It was followed the next day by a supportive editorial lauding Levant, who had once been a Post editorial board member. Levant was also interviewed by conservative broadcasters Charles Adler (who will be joining him on the new Sun TV channel) and Michael Coren, as well as on CTV and in other mainstream media. He received positive coverage in columns and editorials in Postmedia papers such as the Calgary Herald and the Montreal Gazette. But a big boost in establishing ethical oil as a viable concept came from the network of dedicated right-wing organizations that sponsored many of Levant’s events. His presentation at the Economic Club, which received rave reports in the Sun papers as well as The National Post, was sponsored by the National Citizens Coalition, whose motto is “more freedom through less government.” His lunch address at the Vancouver Club three days later was hosted by Leah Costello, a West Vancouver Conservative party board member who had worked at the Fraser Institute for nearly a decade. The Fraser Institute itself sponsored receptions and dinners for Levant in Toronto and Calgary. The Frontier Centre for Public Policy, whose “ongoing contribution to serious, informed public policy debate in Canada has been outstanding,” according to Prime Minister Harper, hosted breakfast or lunch receptions for Levant in Winnipeg, Calgary, and Regina. 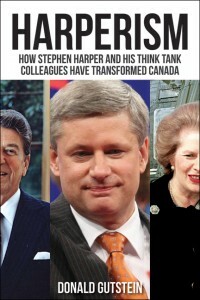 On the internet, the Blogging Tories, a network of 270 conservative bloggers, pumped the book and trashed its critics, with contributions from Dr. Roy’s Thoughts, Small Dead Animals, Just Right, Spin Assassin (“the eco-nuts have lost the debate on the oil sands”), and BC Blue (“green nutbar Elizabeth May”), amplifying the ethical oil meme around the blogosphere. Debating environmentalists was a key strategy in the Levant publicity campaign. Levant faced off against Satya Das (author of Green Oil), Andrew Nikiforuk (author of Tar Sands), Green Party Leader Elizabeth May, and Ben West (healthy communities campaigner for the Wilderness Committee), as well as several representatives of Greenpeace. The environmental position, that oil from the oilsands is poisoning the environment and is a major contributor to global warming, had been largely accepted by the public despite massive PR campaigns sponsored by the industry and the Alberta government. Levant was a seasoned debater, having won several national championships as a University of Calgary business school student. I attended the debate between Levant and West at the Rio Theatre in Vancouver. Despite Levant’s sophisticated debating techniques, West was the clear winner on the issues. This might not matter much, though, since the words “ethical oil” were repeated over and over again and Levant gained a publicity advantage, as ethical oil began to compete with dirty oil for credibility. Refuting the ethical oil claim may be a losing strategy in any case. According to University of Michigan social psychologist Norbert Schwarz and colleagues, repeating falsehoods and slogans helps lodge them in people’s minds. Refuting them can lead people to remember the falsehoods better. Rather than rebutting a claim — oilsands oil is not ethical oil — Schwarz suggests it is better to put forward a completely new claim that makes no reference to the original falsehood. It didn’t take long for ethical oil to move onto the political agenda. First to endorse it was Danielle Smith, leader of Alberta’s Wildrose Alliance and a Levant associate since their days together as Fraser Institute interns in the 1990s. Alberta Premier Ed Stelmach countered by opening a conference on the oilsands with a speech about Alberta’s commitment to producing green, ethical oil. She was supported a week later by Senator Linda Frum, another Toronto Conservative fundraiser appointed by Harper. “By focusing on… occasional and minor bird accidents in the oilsands instead of the massive, systematic, routine environmental devastation in OPEC or the shockingly common violation of human rights in OPEC countries, critics of the oil sands are no longer acting ethically,” Frum opined. It was perhaps no accident that the two lead speakers on ethical oil were staunch members of the Conservative Party establishment. About a month after that, Levant was invited to testify before the House of Commons Standing Committee on Natural Resources, which was debating Canada’s energy policy. This committee is chaired by Conservative MP Leon Benoit, a farmer and original Reform MP, whose Alberta Vegreville riding borders the Cold Lake Oil Sands Area. B.C. NDP committee member Nathan Cullen thought it was more than coincidental that television cameras were present for Levant’s presentation, when requests for cameras in the past had been sidelined by the committee chair. The spin machine took a Christmas break. New Year’s had barely passed when the Conservatives ramped up the hype. In a January 3 interview, Fort McMurray MP Brian Jean encouraged everyone to read Levant’s book, attacked Venezuela and Greenpeace, and defended the oil industry and the government of Alberta. The next day, Harper appointed long-time TV news anchor Peter Kent as his new environment minister, perhaps because TV news anchors engender feelings of credibility and trust. And the day after that, Kent gave his first media interview, saying that profits from Canadian oilsands oil “are not used in undemocratic or unethical ways.” Later, on CBC’s Power and Politics, Kent used the term “ethical oil.” Two days later, Harper backed Kent with a rousing defence of the oilsands. The world should know Canada is an “ethical society” and a “very secure source of energy for the U.S. compared to other sources,” Harper said. The Globe and Mail had ignored Levant’s ethical oil campaign until Harper gave his blessing. But the paper made up for lost time with four articles over the next week, including a sympathetic profile by Jane Taber, complete with a photo of Levant taking up a third of the page. Ethical oil had arrived. Google the term and you’ll get more than 78,000 hits. It’s unclear how ethical oil moved from book idea to government policy. Perhaps Harper and Levant concocted the idea in the first place. Or perhaps the connection was Kory Teneycke, Harper’s former communications director and another ex-colleague of Levant at the Fraser Institute and Reform Party. After Teneycke left Harper’s office, he worked for Pierre Karl Péladeau, owner of the Sun newspaper chain, to develop a proposal for Sun TV, a conservative, all-news television channel dubbed Fox News North. Teneycke resigned under a cloud of suspicion around the addition of fake names to an online petition that called for the broadcast regulator to reject the Sun TV proposal. But he returned several months later to once again head the venture, hiring Levant to host the new channel’s premier political show. With Levant in the chair and Sun TV on the air, the right-wing echo chamber will be that much louder.